A parish workhouse was erected at Eastington in 1785. Gloucestershire: Arlingham (2), Brockthrop, Eastington (3), Frampton-on-Severn (2), Fretherne, Frocester, Hardwicke, Harescombe, Longney, Noreton Valance, Saul, Standish, Valance, Wheatenhurst or Whitminster. The population falling within the Union at the 1831 census had been 7,770 — ranging from Brockthrop (population 65) to Eastington (1,770) and Wheatenhurst itself (423). The average annual poor-rate expenditure for the period 1833-35 had been £3,606 or 9s.3d. per head. 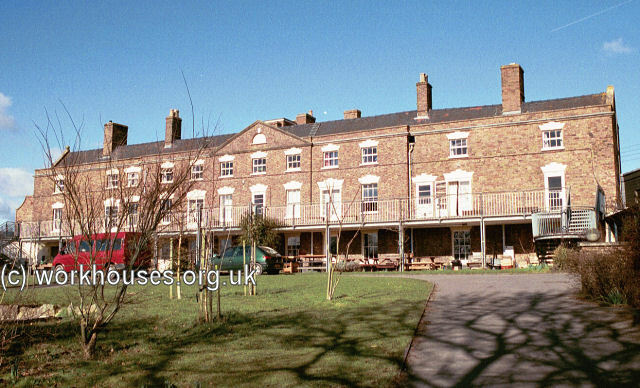 The Wheatenhurst Board of Guardians decided to use the existing Eastington building as the new Union workhouse. It was enlarged in 1836, with Mr Fulljames as the architect. In 1838, the Poor Law Commissioners authorized the sum of £887 for building work. The main block of the workhouse was three storeys high and gives the impression of originally having been two separate parallel ranges. The workhouse location and layout can be seen on the 1901 OS map below. Wheatenhurst from the south-west, early 1900s. 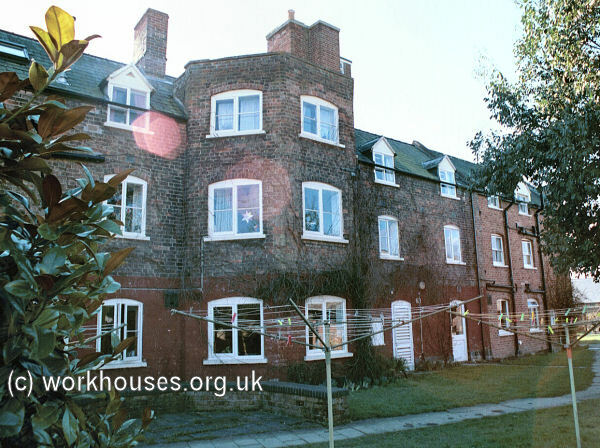 The former workhouse building is now used for residential accommodation. Wheatenhurst from the south-east, 2001. 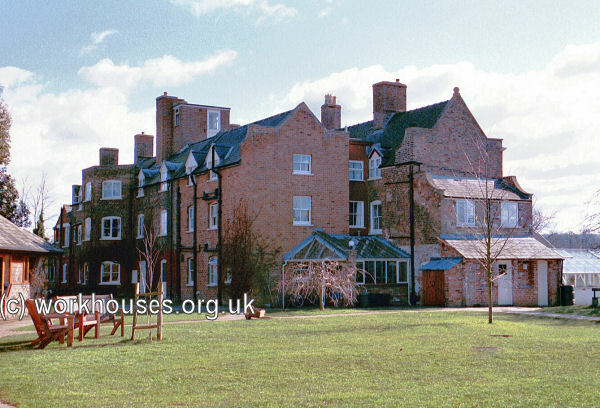 Wheatenhurst workhouse from the north-west, 2001. Gloucestershire Archives, Clarence Row, Alvin Street, Gloucester GL1 3DW. Holdings include Guardians' minute books (1835-1930); Admissions and discharges (1836-44); Births (1836-1913); etc.